NEAR (Northeast Avian Rescue) is a totally volunteer, registered 501(c)(3) parrot and exotic bird rescue located in East Greenbush, NY. 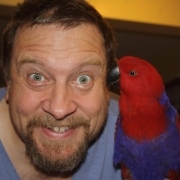 NEAR began operations in October 2013 and currently receives between 150 and 200 parrots and exotic pet birds annually. We are committed to providing the very best care and finding safe, loving and permanent homes for all the birds that come into our shelter. From the smallest finch to the largest macaw, every bird is special and deserves to be treated with respect, dignity and love. Aside from taking in surrenders from the general public, NEAR works with local and regional law enforcement as well as SPCA organizations to assist with abuse and neglect cases involving birds. There is no short-term solution to end the deluge of abused, neglected and otherwise unwanted birds. Only with education can we hope, in the long haul, to change the hearts and minds of people who don't realize the harm they are doing to these precious animals.